As small groups grow, individuals within the group often struggle. Existing small group members become comfortable sharing life with each other and sometimes feel guarded as new women join. They know they should welcome others, but they mourn the intimacy that might be sacrificed by adding new women. And new women might feel uncertain of the expectations of the group and hesitant to share. God created women, including you, for relationship. The uneasiness with changes in groups is usually entwined with unfamiliarity. So how can you become familiar with each other without length introductions at each gathering? Meet with each other outside group times! Each month, exchange names so women are paired with another woman. Each pair commits to get together outside group time at least once during the month. It can be a casual gathering—something as simple as hanging out at one of the women’s homes. During a month that a woman is paired within someone she doesn’t know well, each woman will get to learn more about each other’s families, experiences, work, and dreams. During the months women are paired with someone they already know, they might dig deeper than your small group time allows. 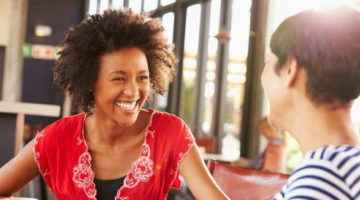 New women will build personal relationships and gain a sense of belonging with others in the group—one at a time. Women who have been in the group for an extended time will continue to grow through challenging and encouraging friendships. Small groups go beyond learning about a topic. Go deeper in faith by doing life with others. In the process, you’ll experience fun, friendships, and faith. Susan Lawrence is passionate about equipping and encouraging women through writing and speaking. For more encouragement, visit purepurposebook.wordpress.com.